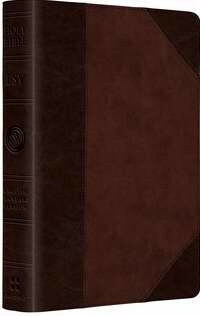 The ESV Compact Bible combines classic portability and improved readability. This Bible’s 8-point type set in a double-column format gives the Large Print Compact the right balance between portability and usability. Bible readers of all ages will find this the ideal edition for travel and on-the-go reading. 7.00" x 5.00" x 1.25"